The Xerox 700i Digital Color Press is capable of printing up to 71 A4 pages per minute in full color and provides outstanding image quality, quality capable of providing up to 2400 x 2400 dpi maximum resolution. The recommended average monthly volume of 20,000 to 75,000 pages per month. 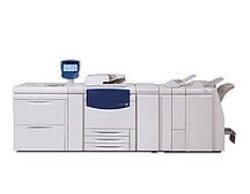 Xerox 700i is capable of handling maximum paper size of 330 x 488 mm and automatic duplex color printing up to 300 gsm. Download driver for Xerox 700i Digital Color Press according to the Operating System on your PC or laptop at the link below.